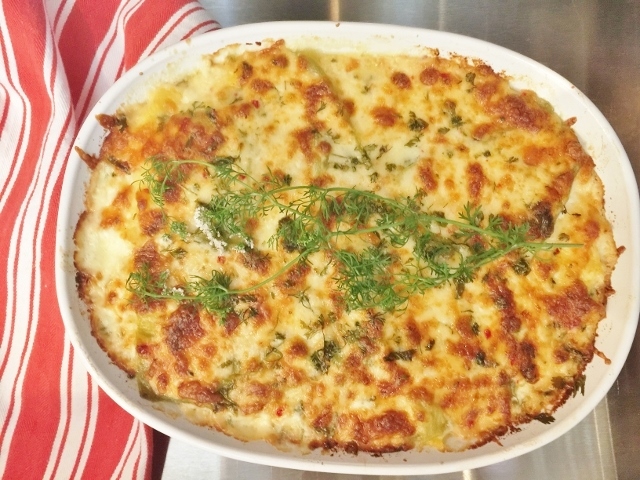 Green Chili Polenta Bake - Recipe! - Live. Love. Laugh. Food. 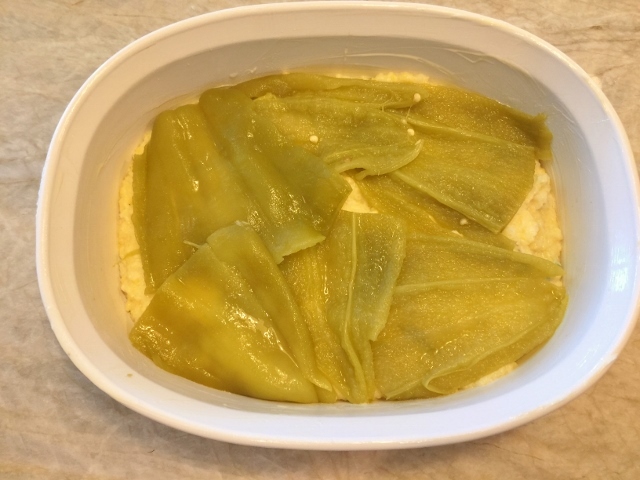 Green Chili Polenta Bake – Recipe! I’ve changed my mind about casseroles these days, I actually enjoy them. In the past I think I perceived them as a not-so-good for you food that was strictly made out of canned goods. Casseroles, or bakes as the millennial’s call them, can be packed with fresh ingredients and flavored with all sorts of things like veggies, meat, chilies and spices. Green Chile Polenta Bake is one of those delightful dishes you will love because it has just enough heat to make you sit up and take notice, along with a super corn-filled taste. I had a similar dish at a friend’s house last summer and fell in love with the creamy texture, cheeses and mild chilies. In this recipe, I kept it vegetarian and decided to add a little more flair, and stir in a minced jalapeno to increase the spice a tad. This Bake is delightful served with a crisp green salad, or as a side dish with grilled meat or fish. It does have a slight Mexican vibe and it would nice served with tacos or tostadas. 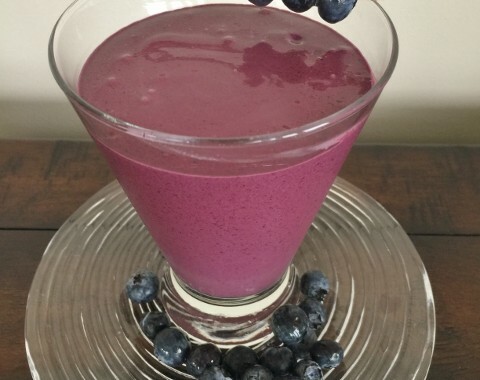 Also, I think it would make a great potluck dish to bring to your next social gathering, or holiday get-together. 1. Preheat oven to 400 degrees. Butter a 3-quart casserole dish. In a large saucepan over medium heat, add milk and chicken broth, cook until simmering. 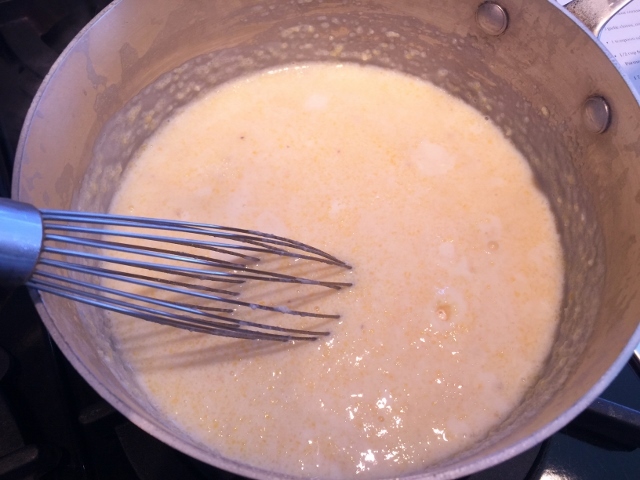 Whisk in polenta and cook for 8-10 minutes, while continuing to whisk. Add in corn, garlic, jalapeno and salt – stir to combine. Continue to cook polenta for 3 minutes, stirring occasionally. Remove from heat and stir in parmesan cheese. 2. Pour half polenta into prepared dish. 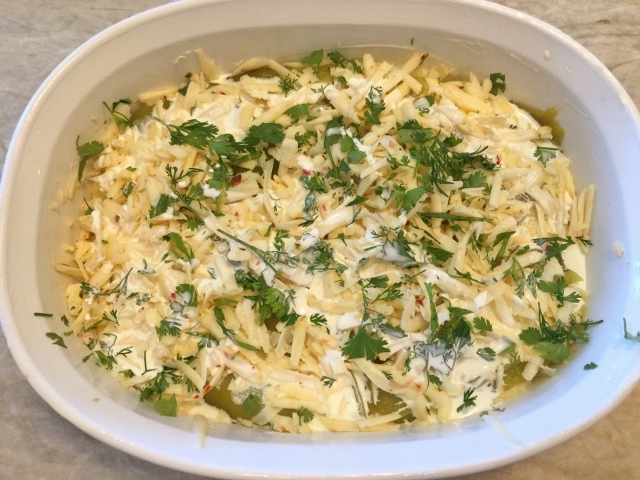 Layer half whole green chilies, cheese and cilantro on top. 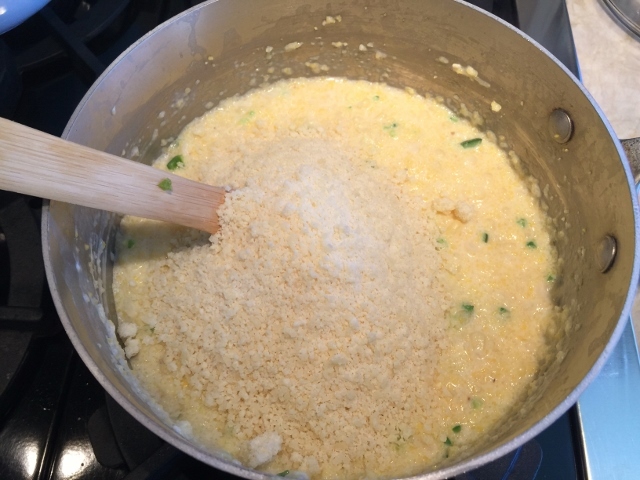 Drizzle half of cream over top and repeat with another layer of polenta, chilies, cheese and cilantro. 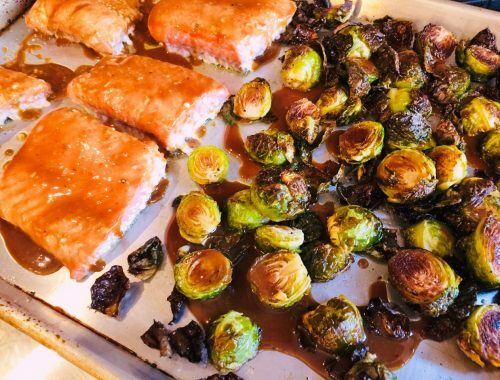 Top with heavy cream and place on a sheet pan to bake in oven for 35-45 minutes, or until top is golden brown. Remove from oven and let rest for 10 minutes before serving. Enjoy! 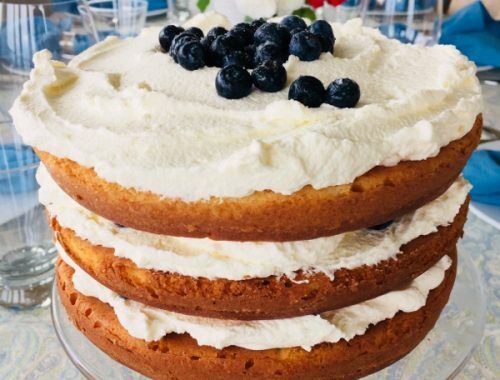 Blueberry Shortcake with Mascarpone Cream – Recipe!